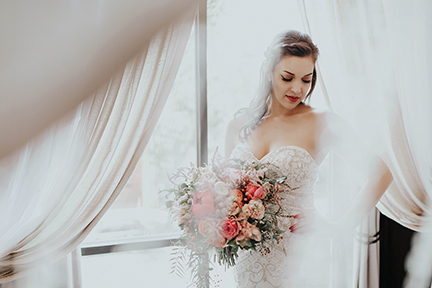 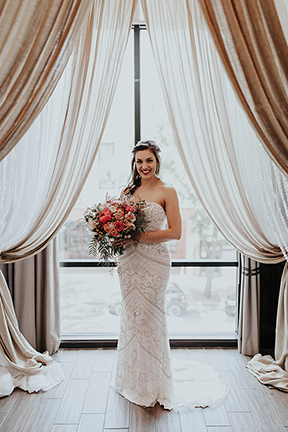 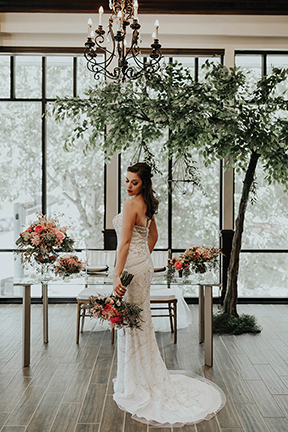 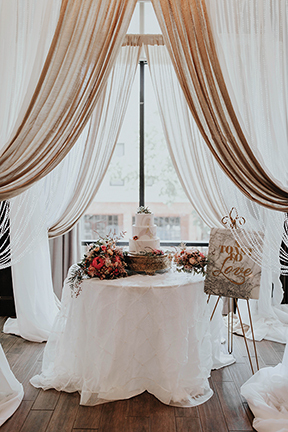 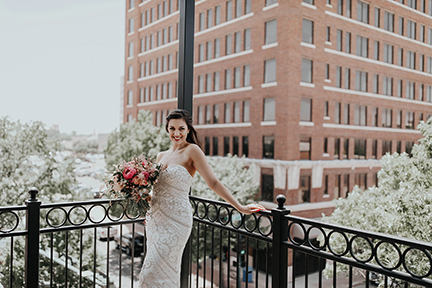 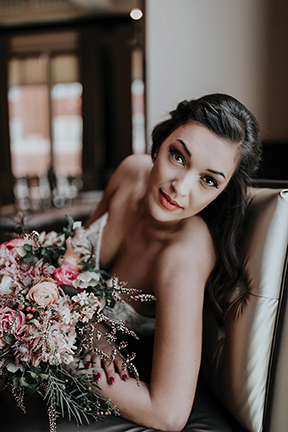 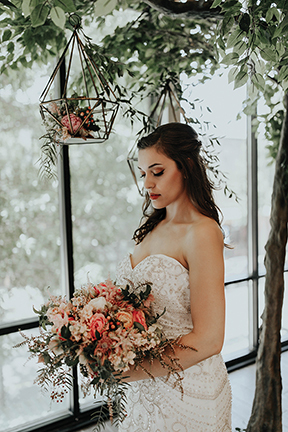 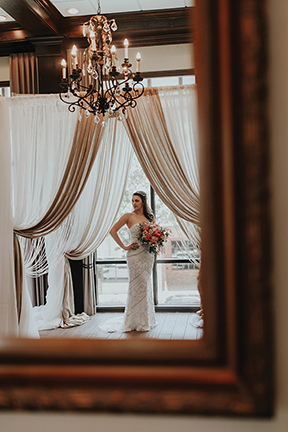 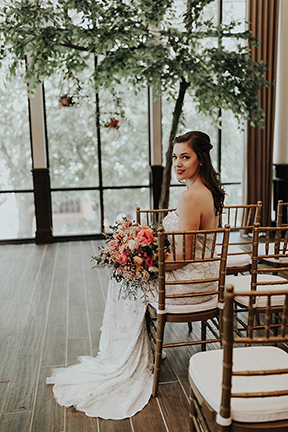 A bride in a fitted, lace gown stands regally in front of floor-to-ceiling windows inside the historic Waco Hippodrome Theatre at our latest styled shoot. 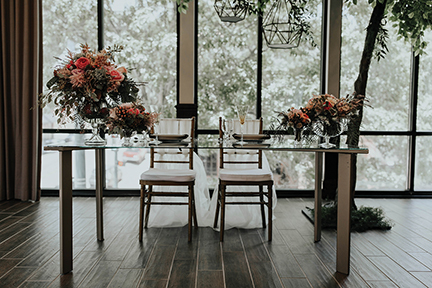 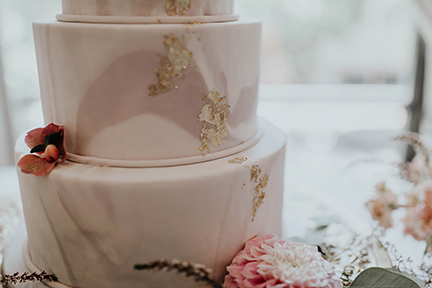 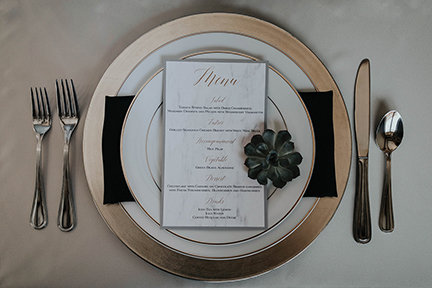 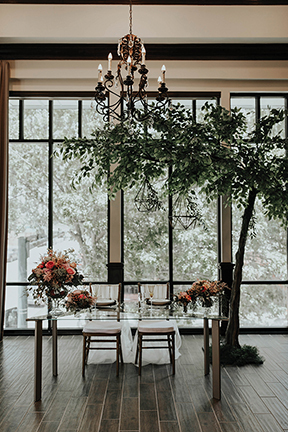 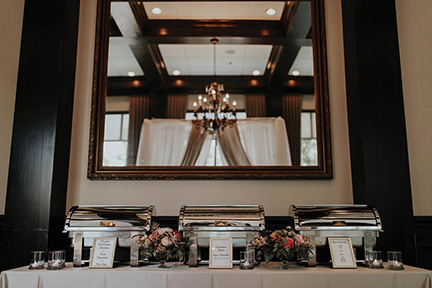 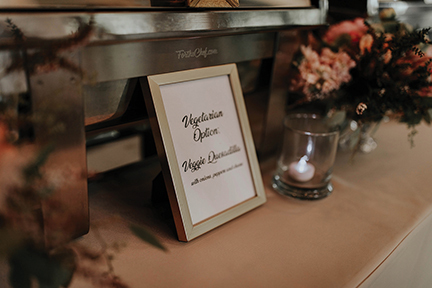 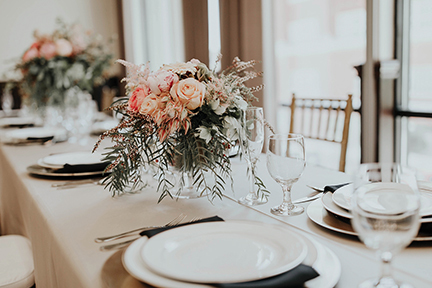 Ornate chandeliers and iron planters, accented by delicate blooms and gold Chiavari chairs, created a decadent vibe inside the downtown wedding venue. 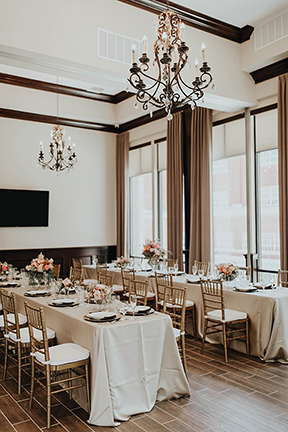 Cream-colored linens and floor-length draperies softened the clean lines of the building’s architecture, framing the picture-perfect views of the city’s tallest buildings. 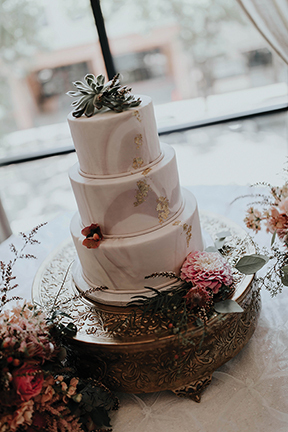 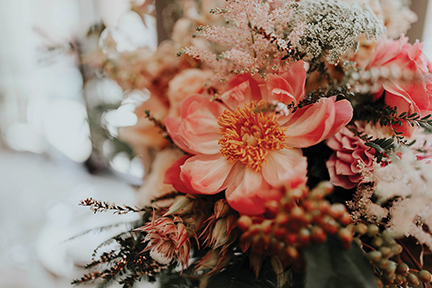 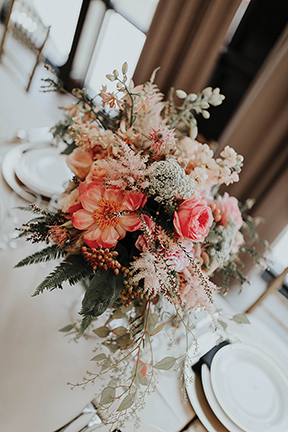 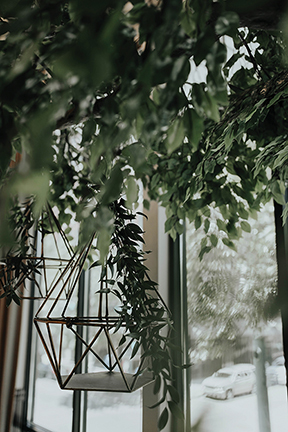 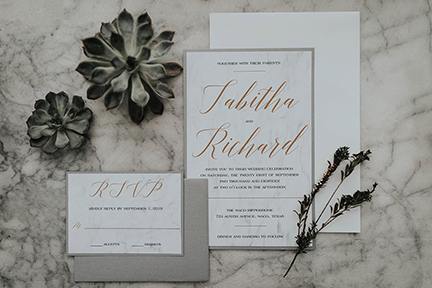 Dark green succulents and black napkins anchored the look, while glimmers of coral popped inside floral arrangements and aside the marbled wedding cake.